Home / News / Prabhas 20 launched; AR Rahman to score music? Prabhas 20 launched; AR Rahman to score music? Young Rebel Star Prabhas's new film referred as Prabhas 20 has been launched today with a formal pooja ceremony. The film will be directed by Radhakrishna Kumar of Jil fame, and Pooja Hegde is the lead lady. Touted to be a period romantic drama set in the 80s Italy, Prabhas20 is being made in trilingual versions in Telugu, Hindi and Tamil. If the latest buzz is to believed, legendary composer and Oscar-winner AR Rahman will provide the soundtrack for the movie. The film is being made on Prabhas's home banner Gopi Krishna Movies in association with UV Creations banner. 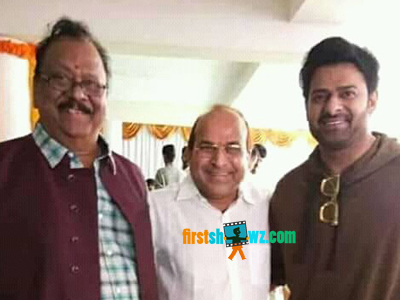 Krishnam Raju is the film's presenter. More details are awaited.